Why Wait For A Jeep Wrangler Pickup When These Already Exist? Unfortunately, they aren't what we would call cheap. We were ecstatic when FCA hinted that it would introduce a pickup truck variant of the next generation Jeep Wrangler. There was a lot of back-and-forth whether this model would actually reach production, but we think that a Wrangler with a bed makes absolute sense. We know that the 2018 Jeep Wrangler is on its way, and should remain an icon despite changing significantly. 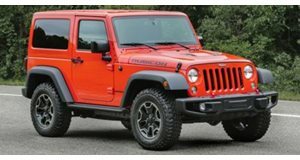 However, why wait for a Wrangler pickup truck when there are already many to chose from on the used market? Thanks to the custom market, the Wrangler pickup is already a reality. Even though we're excited for Jeep to finally reveal its own Wrangler pickup, we are a bit impatient to see what this new model will look like. 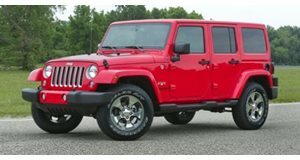 We were surprised when we searched for used Wranglers online, how many pickup truck models were out there. There are tons of options with various different body styles and build levels. One of the coolest examples is a 2016 AEV Brute Double Cab. This custom creation is the work of a company called American Expedition Vehicles (AEV), which builds a four-door pickup truck based on the Wrangler Unlimited. We found this car for sale at Orange Coast Chrysler Jeep Dodge Ram in California, but the price is not exactly cheap. The base price of the Wrangler was around $44,000, but the added cost of the conversion has brought the current price up to $87,000. We also found a 2006 two-door version of the Brute for $52,990 at Pischke Motors Chrysler Dodge Fiat Ram Jeep in Wisconsin, but that is still a very high price for an 11-year-old Jeep. If the Brute seems a little too pricey, we also found a couple of two-door trucks that seem a little more reasonable. The first is a white 2016 Wrangler Rubicon for sale by RPT Sales and Leasing in Florida. This car is just under $60,000, but it does seem to have a very small truck bed. On the bright side, this does appear to be a high trim Wrangler with leather interior and navigation. The more interesting model that we found is a yellow 2008 Wrangler Rubicon that is also for sale in Florida. This model is a more reasonable $47,000, although it does have over 62,000 miles on it and comes with a Cummins diesel engine conversion. The diesel engine is a 3.9-liter four-cylinder unit, which is a popular conversion option for the Wrangler. It may only produce 109 hp, but it does have 265 lb-ft of torque. It may not sound like a lot of power, but we bet that it's very fuel efficient and well suited for off-road use. None of these options should really be considered "cheap," but we were surprised to see how many options were out there with just a basic search. We hope that when FCA does reveal its own Wrangler pickup truck, it will not be as expensive as these custom models, but anyone who has the money and very little patience can go out and buy a pickup truck Wrangler today and be spoiled for choice.